Huawei Watch Bands, iHYQ 20mm Stainless Steel Metal Business Replacement Bracelet Strap for Huawei watch 2 Sports model Smartwatch (Siliver) by iHYQ at FloType. MPN: 43222-53131. Hurry! Limited time offer. Offer valid only while supplies last. 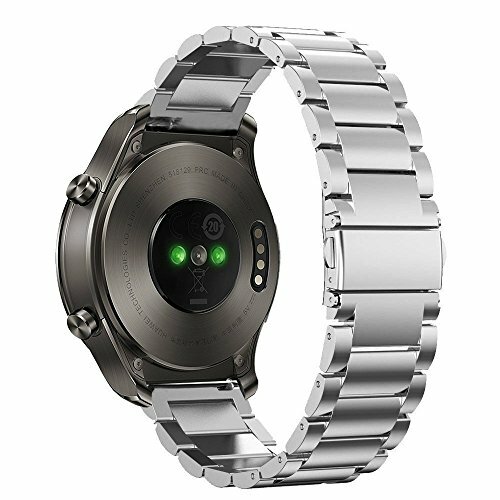 Custom designed for your Huawei Watch 2 Band,this Stainless Steel Watch Band features a combination of functionality and style. Size: Fit 4.92"-8.50"(125mm-215mm) wrist. The size can be adjusted according to the circumstance of individual wrist. Package Contents: 1*Steel watch band+ 3*Pins+ 1*Remove tools.